We are a leading Manufacturer of ferrous ascorbate & folic acid from Jaipur, India. To meet the set industry standard, we are extremely engaged in offering a premium quality Ferrous Ascorbate & Folic Acid. These medicines are used to treat iron deficiency anemia. The offered medicines are expertly processed utilizing optimum quality ingredients’ and progressive techniques following the medical norms. 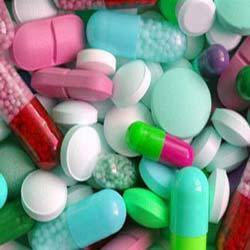 We offer these medicines with quality packing at affordable rates in a confine time.